Handmade Monday 188 – What Happens in a Class? Welcome to this week’s Handmade Monday – pop over to Handmade Harbour and treat yourself to an hour or so browising the work of some very talented crafters and artists. I’ve realised that although I spend alot of my time teaching I rarely blog about what happens in a class! So I’m aiming to change that in the coming weeks. 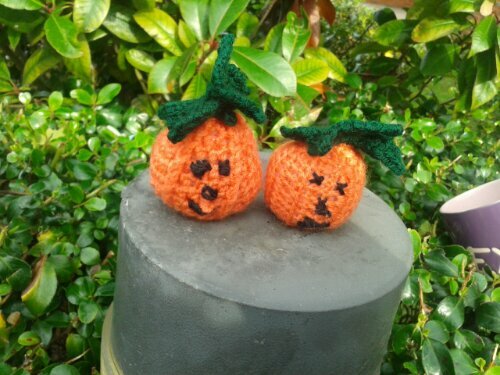 In beginners classes there is usually a mixture of people, from those who have never picked up a hook in their lives to those who have learned a bit off the net or who crocheted years ago but have forgotten how to get going again. For the purposes of this post I’ll focus on the 1st week: We start by finding the best way to hold the hook and yarn for you – I start by teaching the best way, both right and left handed and then work with individuals who are struggling to find a technique that is best for them. 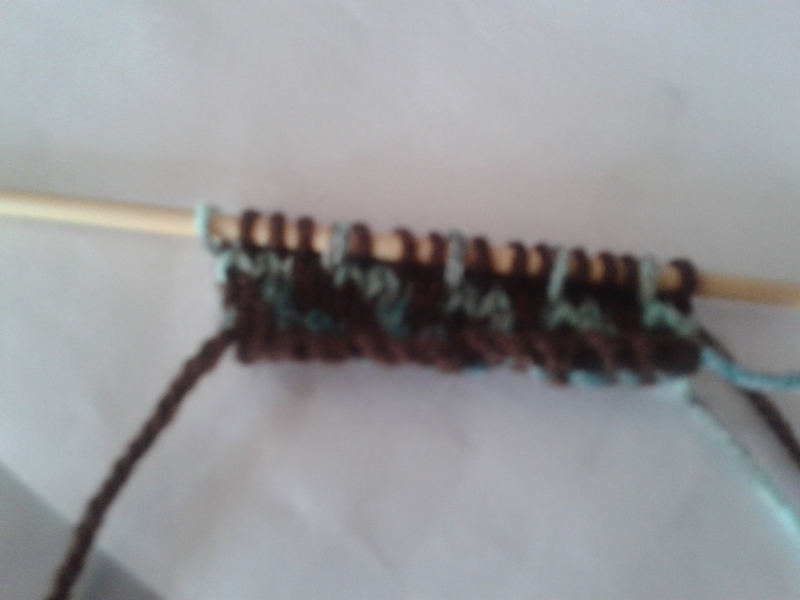 It might be holding the hook differently or threading your hand another way with the yarn. 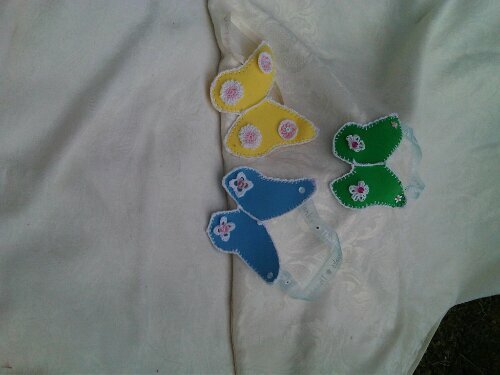 We then move on and practice chain stitch. 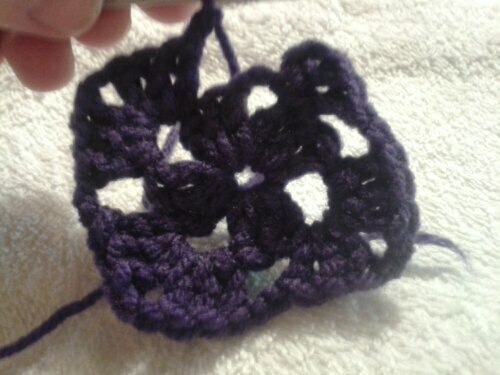 When everyone is confident they are able to manage that, we start on the 1st lesson proper – making a granny square. 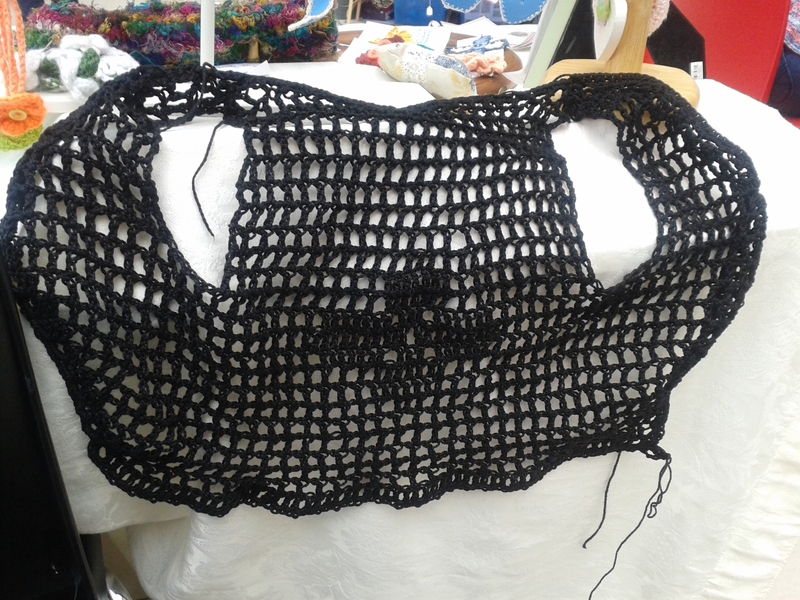 I choose the granny square because the foundation chain doesn’t need to be perfect as its hidden inside the centre and its a popular thing to make. Once you have mastered it you can go on to create anything from handbags to cushions to blankets. To achieve this we then learn slip stitch, joining a chain to make a ring and treble crochet, plus how to put them all together to make a square. After the 1sr couple of round I introduce pattern reading, so that the group start to get a handle on the abbreviations and how crochet patterns are written. I colour code the pattern and break each round down into manageable sections. 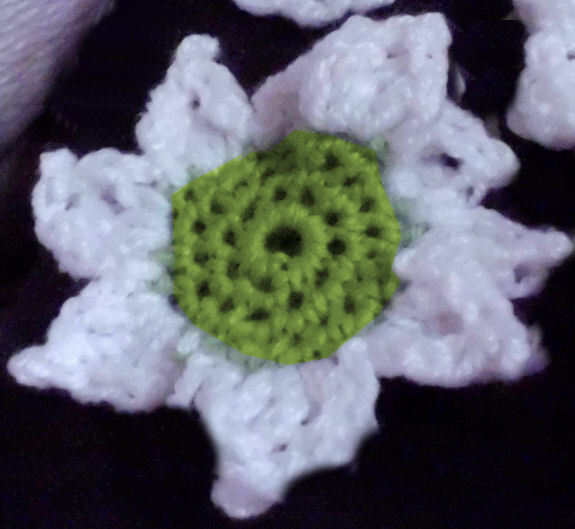 Once we’ve covered this, I tend to find that those who have some crochet knowledge can work the following round with minimal support, giving me more time to work one to one or in a smaller group with those who need a bit more help. The ladies who are working more independently are not left to struggle however as I am on hand for them too. If the lesson is going well we also look at colour changes. The group is encouraged to practice at home, either starting another square from scratch or adding more rounds to their existing square. Practice between lessons is essential. 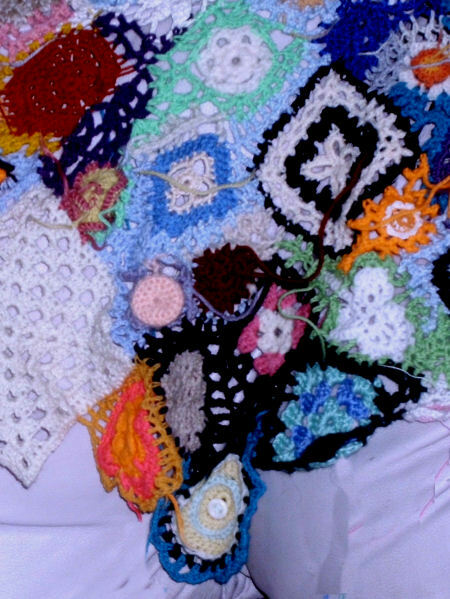 We revise the granny square in week 2 and then move on to look at a variety of ways of joining them together. Each week you receive a comprehensive learning pack that covers everything we have learned during the lesson. This builds into a beginners / improvers manual, including exclusive patterns that you can fall back on in the future. 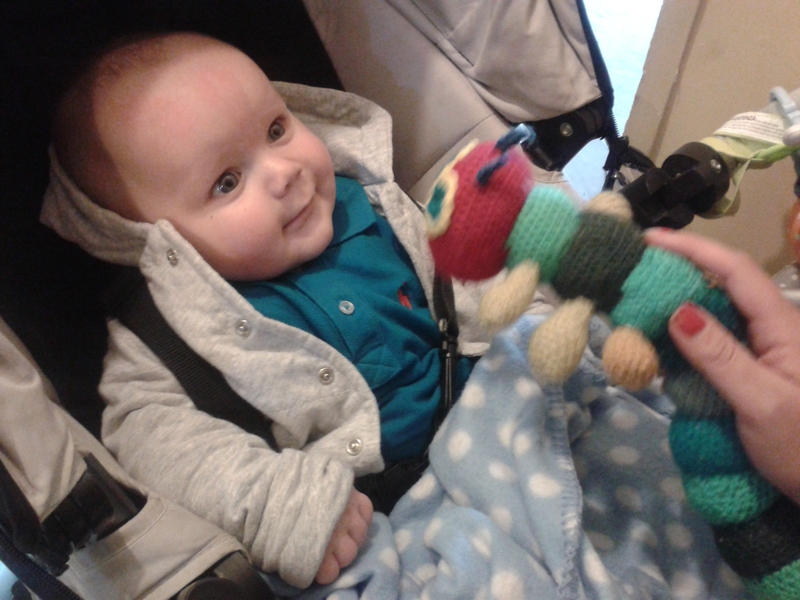 This is a mixed ability group of beginners, improvers and more experienced knitters. There is usually a 1 hour workshop, followed by a further hour working on individual projects with support when needed. Handouts are supplied for any new techniques and beginners have access to the the full 6 week beginners manual. We are currently working on Christmas Decs as a group, with people learning colour work, shaping, experimenting with fun yarns and making up techniques, Individual projects include lace work baby blankets, hats, mitts, cardigans and fairisle squares for a blanket. We have recently covered blocking and mattress stitch as the large blanket is put together. 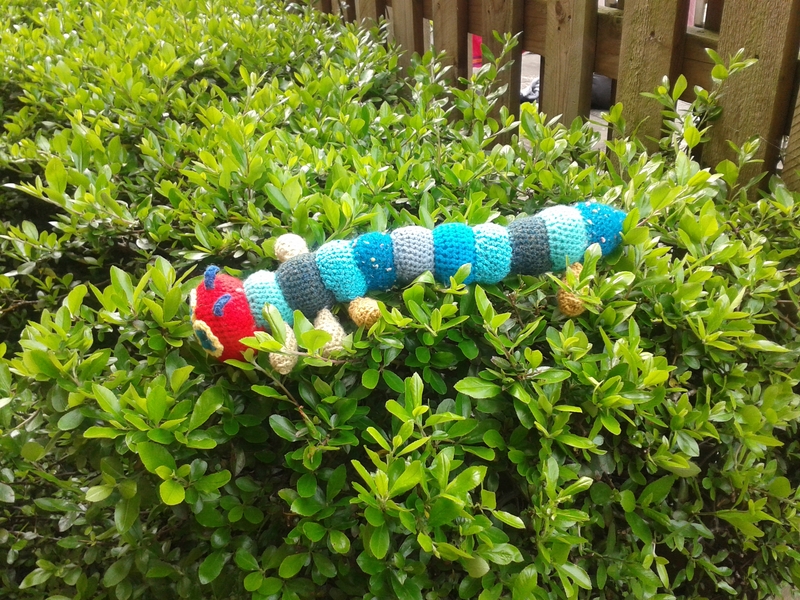 This group runs along the same lines as the Knit and Learn group, with a combination of beginners and improvers working on a range of projects. Sometimes the group chooses to have a 2 hour workshop, others we do an hour focusing on a specific technique and occasionally they all work individually and I float around the group to help. Beginners are welcome and you will get quite alot of individual attention. We usually meet once a month and the group is small and friendly. 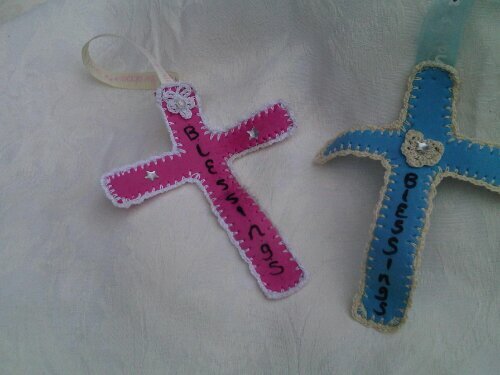 Currently we are making Christmas decorations and gifts. 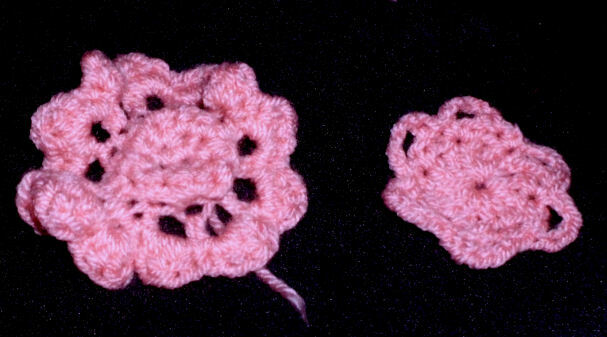 In the last session we created an amazing crochet rose! Why not come along and joins us if you can! If you prefer to have individual lessons these are available too! If you’d like to book a class, pop over to the events page and click the relevant link! This group is specifically for people who are living with an acquired brain injury. 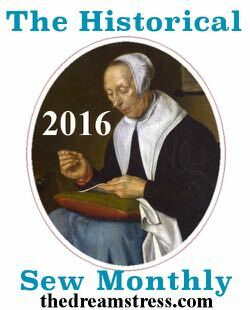 We have been running for 2 years and are now at a point where everyone is working individually on chosen projects in between sewing panels for a wall hanging quilt. Currently we have people learning to use sewing machines to make a variety of bags, loom knitting toys, crocheting fairies and sewing felt Christmas decs. The bag on the right is a box toiletries bag made by one of the men in the group. 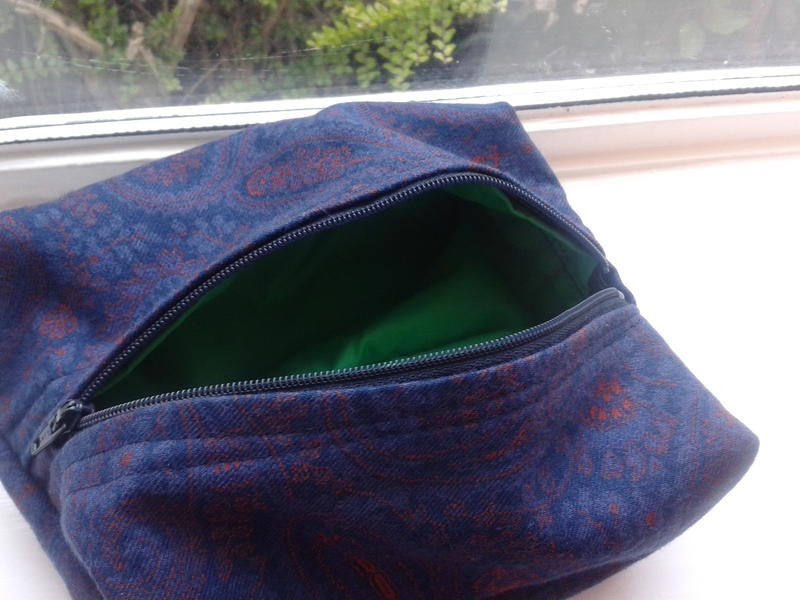 He has no use of his right side but is amazing on the sewing machine….this was very much a project where I was learning as I was teaching…. that’s one of the reasons I love this group so much, there’s always an interesting challenge and alot of fun! These are 2 specific groups for people experiencing enduring mental health issues. 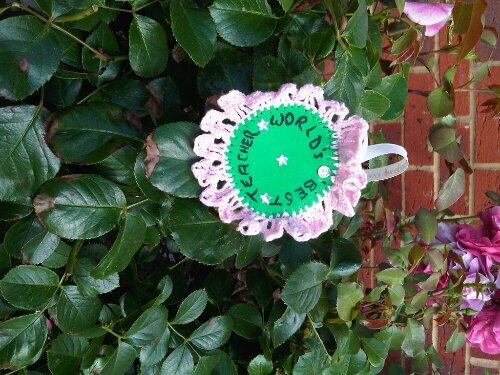 We work on a combination of small group projects such as a knitted / crocheted afternoon tea, egg cosies, Christmas Decs, flowers. 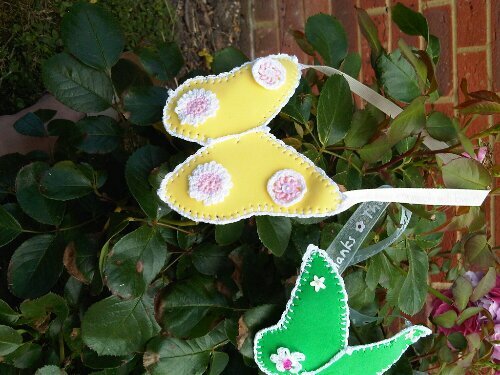 The aim of the sessions are to build concentration, explore crafting as a way of managing symptom and to learn / extend skills. This group has a 50 /50 male female balance. 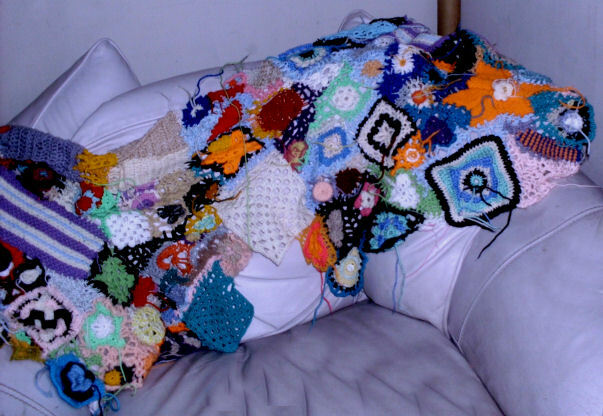 Some members crochet and others prefer to knit. Not everyone wants to work on the group projects so the learning plan is flexible. Again learning packs and patterns are available to the group members. Many choose to work on their projects at home as a way of elevating mood, distracting themselves from troublesome symptoms and giving themselves a sense of achievement. These run over an hour and are based on the premise of supporting individuals with their chosen projects. I also supply handouts and offer a mini 15 min workshop covering a specific technique. 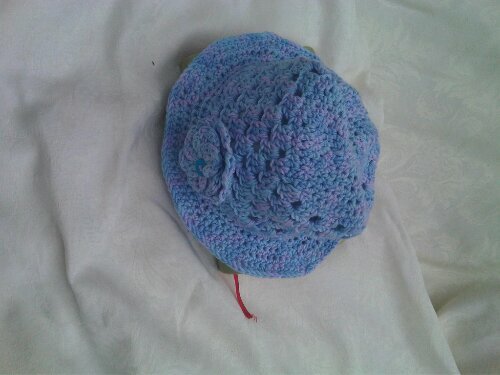 Currently I have beginners crocheters learning to make granny squares or work from their 1st pattern, beginners knitters learning to make hats and flowers and more experienced knitters learning new techniques like the lace cast on and knitting on circulars using the magic loop. Before I start blogging, I first must apologise to all who commented on my last post for not getting back to you. in the last few weeks my daughter has had a threatened miscarriage – fortunately Junior is safe and happy and kicking well now – and for reasons I can’t discuss, needed to move home, so we’ve spent alot of time getting her sorted out, registering with GP’s, booking midwives and finding out about our local SureStart – who are brilliant! I’ve also had a few tight schedule makes to do including a very special gift canvas for the former youth pastor at our church and his wife, as they’ve moved up North to take on their own church. So most evenings I’ve been flopped in the chair either crocheting or sewing following a mad day of juggling teaching and home. 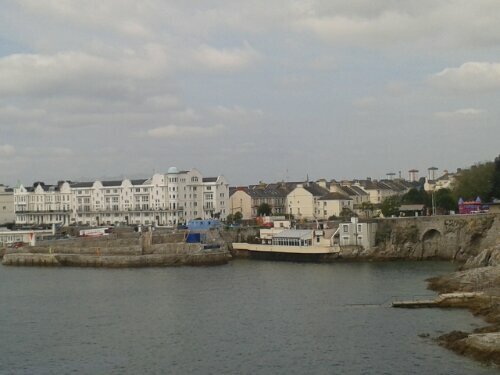 But we did have 3 lovely days in Devon staying with my brother and his wife and visiting my Dad. Dad’s still doing well and even walked with us to the pub in the village. Dad and I have identical walking frames and look a bit like a mad convoy coming along the pavements though lol! Anyway moving on, here’s this week’s Handmade Monday- pop over to Handmade Harbour to either join in or spend the odd hour or two enjoying yourself viewing crafts from around the world, including some from well known names in the crafting industry. 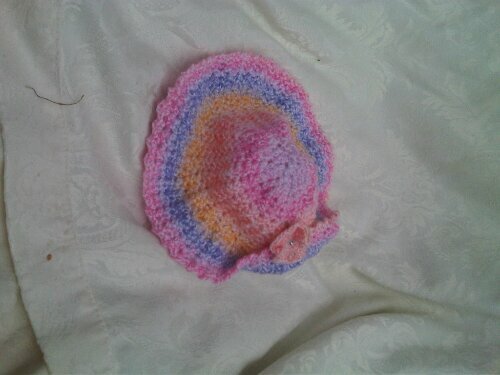 I’ve been doing some more Hobby Craft Demo’s and was asked to crochet sunhats. 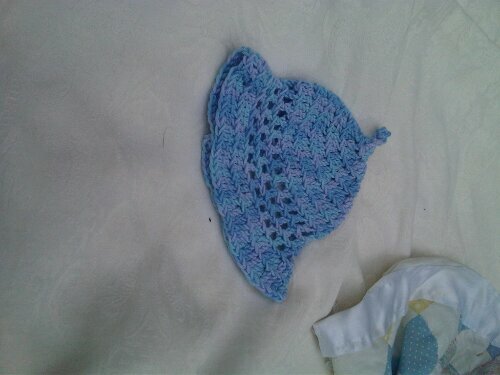 I have another coming up on Wednesday and plan to work on a boys baseball cap style one as my neighbour’s son is most miffed I only have little girly hats! I also have another on the hook at the moment using a spiral pinwheel pattern which I’ll be writing up for sale next summer. Its been suggested by a couple of people who have fallen in love with this hat that I make it in adult sizings for the winter, possibly felted, using “victoriana” type colours. 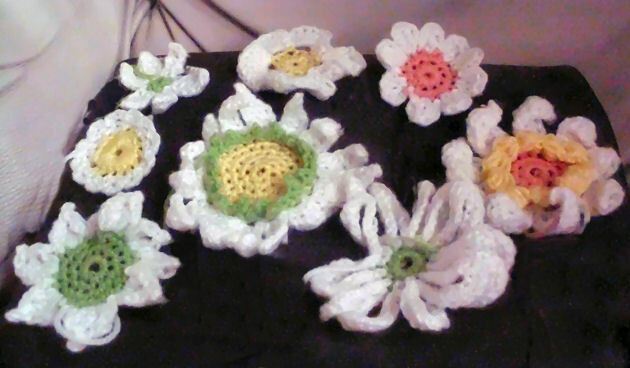 I’m thinking that a small spray of felted crochet flowers would add to the victorian feel -what do you think? And ‘Beauty from the Scrap Heap’ a freeform knitted and crocheted piece using swatches, practice pieces and demonstration pieces. I’m connecting them with crazy crochet lace and should finish tonight if all goes to plan! 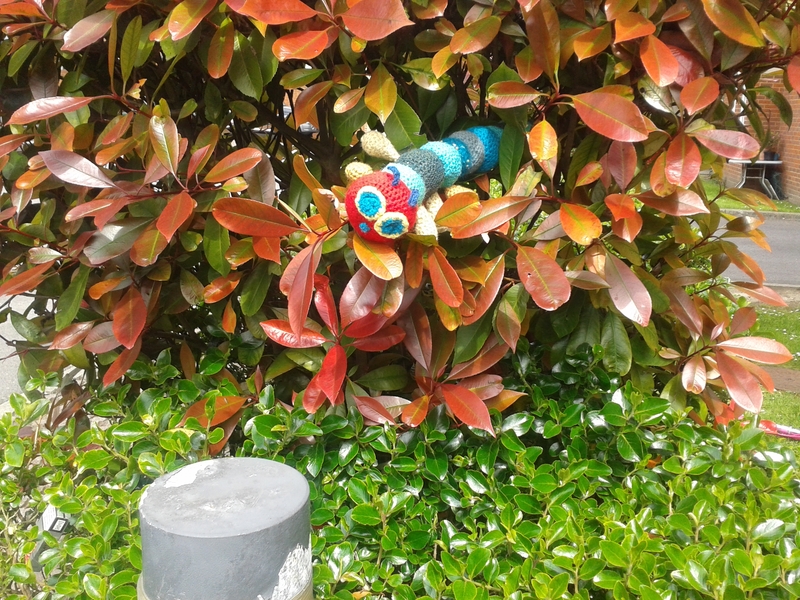 It has flowers, hearts and even an owl lurking in its midst and I am planning a competition for kids along the lines of how many …….can you see? 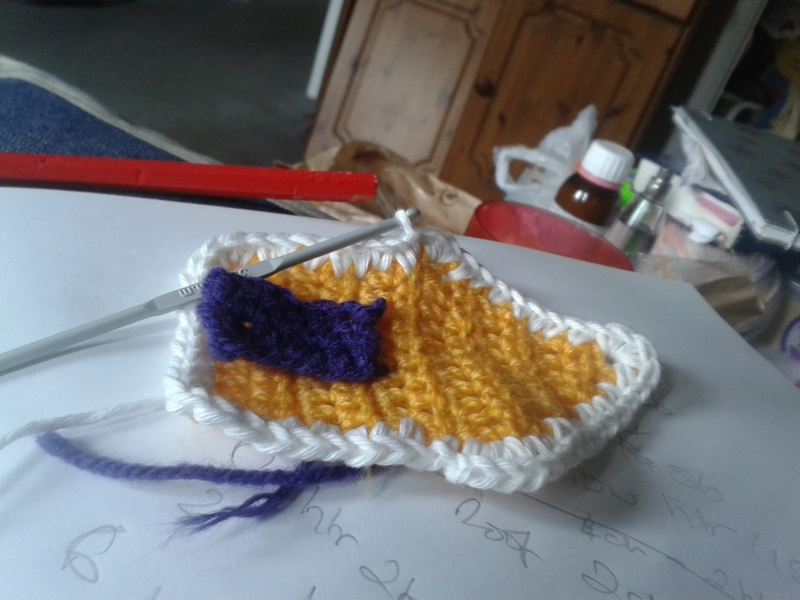 Its been a couple of weeks since I’ve blogged – I’ve been sitting knitting and crocheting alot in between meeting some lovely new people and discussing a few new ideas for passing on my skills. I think I’ve needed the time to adjust to Dad moving into the care home and giving up his bungalow as it had much more of an emotional impact than I’d anticipated… but its good to get back to blogging again! 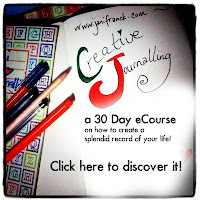 I’ve been having a think about how I use the blog as I want it to show all aspects of what I do……. 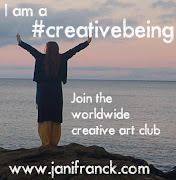 making, selling and teaching and the inspiration behind it, so once I’ve really thought it out I’ll be aiming to post 3 times a week – with each day having a specific theme. 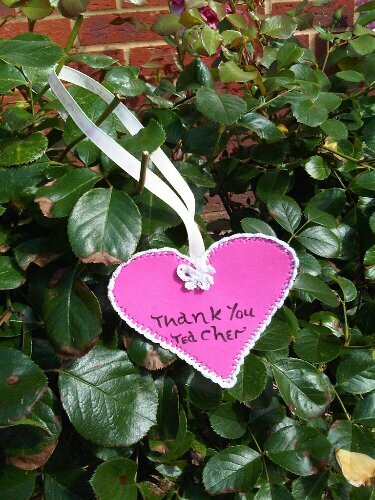 I also hope I can have a guest blogger spot too so that I can share the work of other talented makers and teachers… I just need to work out the how’s now! Anyway enough ramblings from my addled mind – welcome to this week’s Handmade Monday – don’t forget to head over to Handmade Harbour and join in the fun! I needed to develop a pattern for one of my beginners group that introduced crocheting circles, increasing, pattern reading and a little bit of decorative work and hit on the idea of a bowl…which would also serve well, reworked in another colour as a sample piece for a class coming up next month in a local library…. 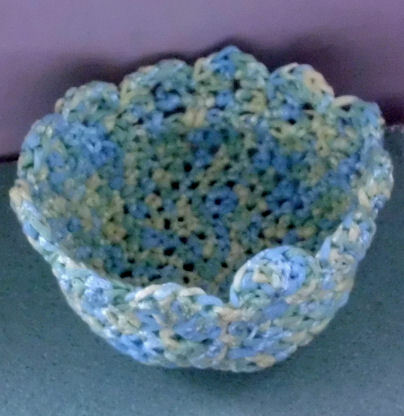 I crocheted the pink bowl in a DK cotton and the blue / lemon / green bowl in a ribbon yarn both using the same pattern but I used a smaller hook for the pink bowl. The bowls can be starched to give them a stronger structure. 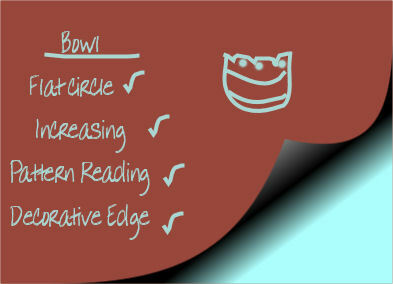 Both bowls use half treble stitch and treble stitch, alongside slip stitches for joining the circle and are started with a magic loop. Half treble and magic loop were new to the group. 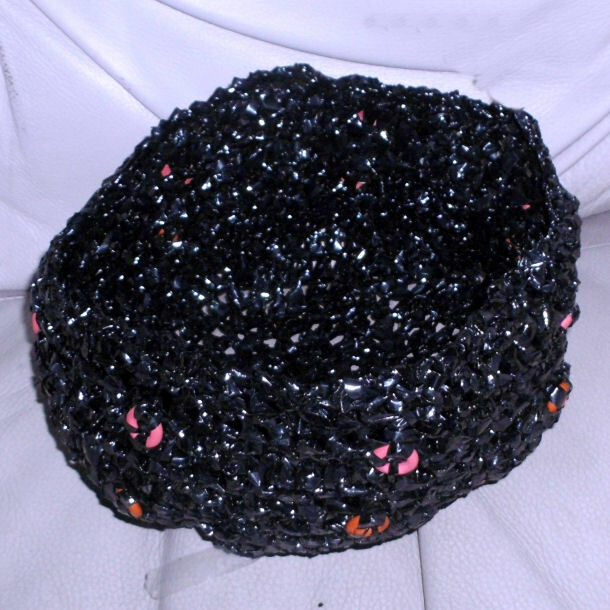 I’m got an offer from a friend to photograph me crocheting soon so that I can do my own tutorials for the stitches and techniques needed to make one of these bowls. When that’s done I’ll post the tutorial on the blog in a downloadable format and make the pattern including a step by step tutorial plus yarn and hook available via my online shop. I’d be interested to know what you think of the pattern and how it worked out for you. 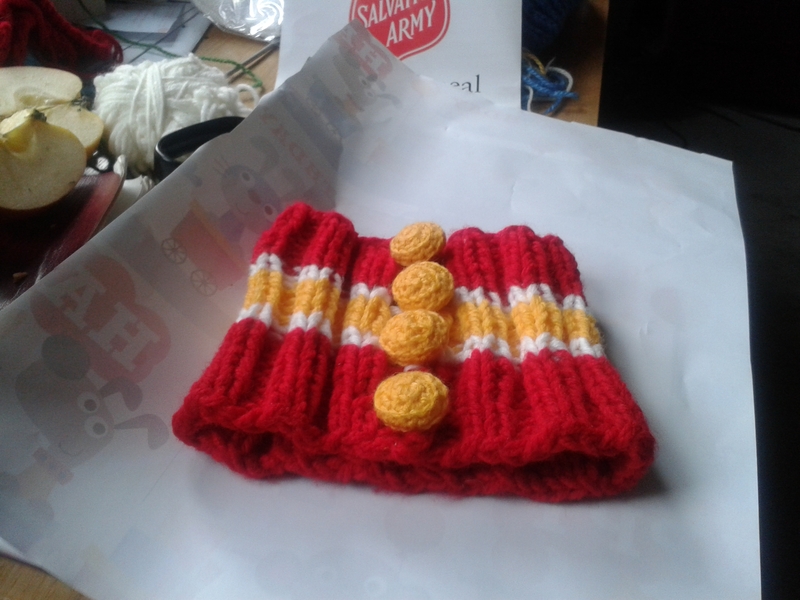 I will be looking for pattern testers in the not too distant future too! 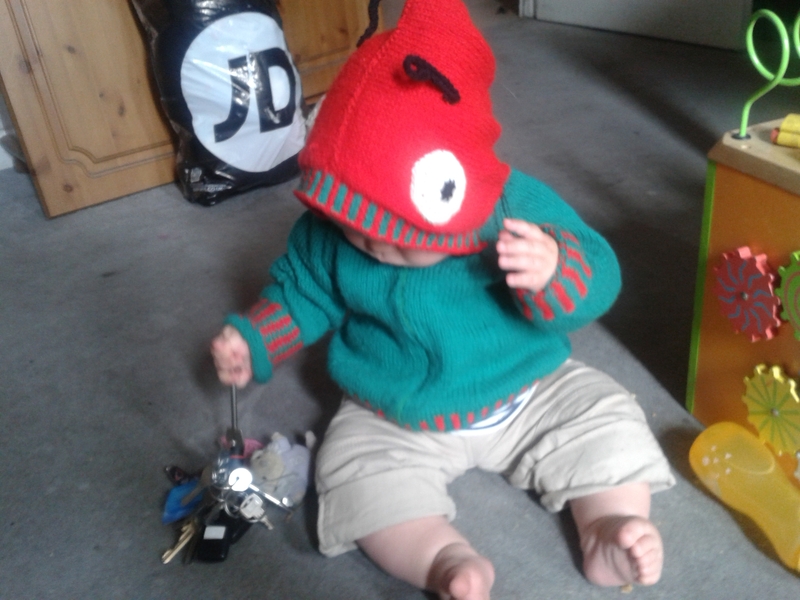 Anyway as I was pinning -that site is a dangerous distraction! – I happened across a Dutch magazine’s page which had one board themed around Spirograph. I had spirotot as a child as I think it was cheaper and our class teacher also taught us other ways to make similar patterns with compasses, pencils and threads. I remember making those 70’s thread pics in fact! So only play true Spirograph at my cousin’s houses. But I loved the idea of making complex patterns from simple shapes and have been hooked on doodling in this style ever since. 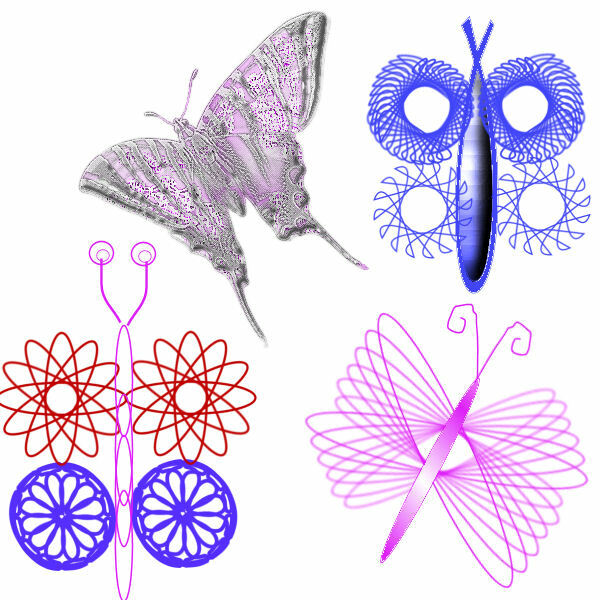 On this wonderful page was a link to an Adobe Illustrator tutorial showing you how to use it to make Spirograph patterns. I have an old copy of Paintshop Pro 9 though and wondered if it was possible to replicate their ideas…… and with a bit of twiddling and a dredge into the deeply buried memory banks I did it!! The solid grey and pink one was as a result of playing with brushes I have installed and although its pretty I have to admit I prefer my doodles! I used a combination of ovals, stars and preset vector shapes to create my doodles. 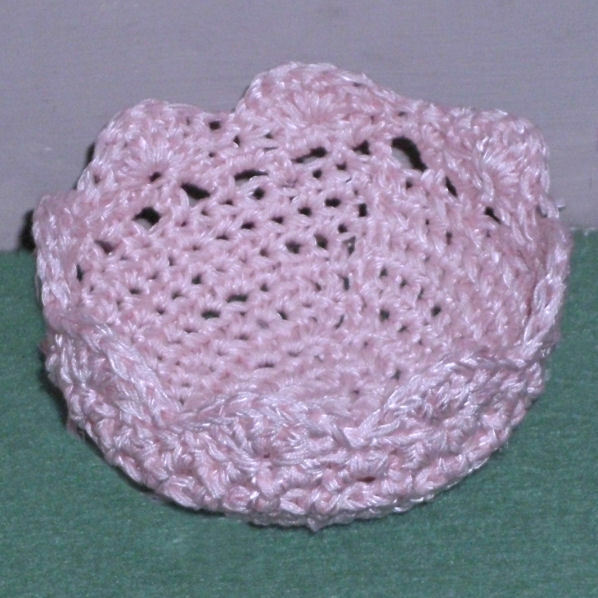 The plan is to replicate one of them in crocheted plarn and submit a photo of the finished item but the one I really want to do is going to be a challenge to do – I prefer the pink! 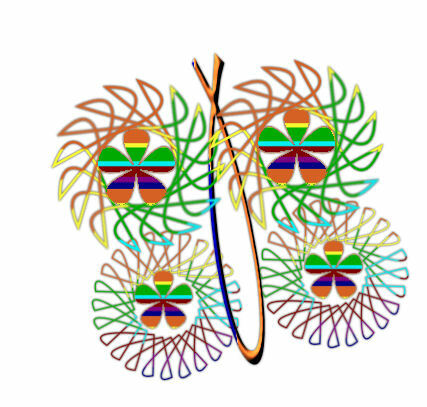 I have no plans to crochet this one but will submit it as a butterfly doodle……….. and go on to learn how to dye my own yarns so I can eventually make one! What do you think?